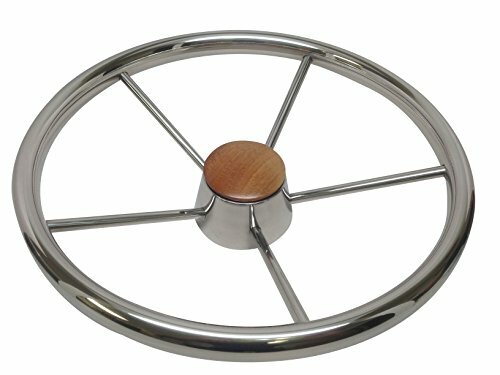 High quality stainless steel destroyer wheel is highly durable to resist the harsh marine environment. 13 1/2" diameter, 7/8" tube diameter. High quality 5 spoke stainless steel. Bakelite cap fits 3/4" tapered shafts. Customers please note every computer shows colors differently. All measurements are approximate. Item: P73061.